Reading at Get Lost! 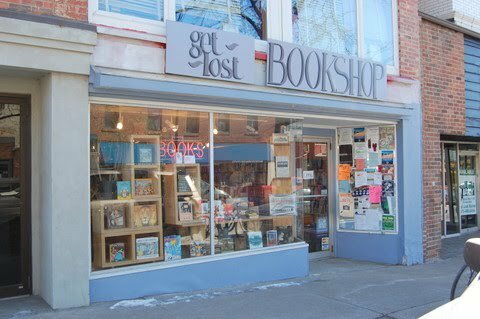 Bookshop, 8/4/11, 7 P.M.
Next Thursday night at 7 p.m., come see me read at Get Lost! Bookshop, located at 8 South 9th St. in Columbia, MO. The reading is part of the bookstore’s Cold Reading Series, and I’m sharing the bill with the gracious and talented poet Stephanie Kartalopoulos, as well as Chris Stephens, who is going to play the sitar. The sitar, people! THE ONLY SITAR IN ALL THE WORLD. How awesome is that? Apparently there will also be wine and beer. And it’s free, but you can shop for great books, both used and new. Stephanie is a Creative Writing Fellow in Poetry at the University of Missouri, where she is also studying towards a PhD in Creative Writing & Literature. She holds an MFA In Creative Writing from the University of Florida and a BA in English from Harvard and has taught at Boston University, Lesley University, the educational non-profit Year Up, Cambridge College, and The University of Florida in addition to Mizzou. Stephanie’s poems appear and are forthcoming from a variety of journals that include 32 Poems, Phoebe, Harpur Palate, Waccamaw, Barn Owl Review, Subtropics, Columbia: A Journal of Literature and Art, Fifth Wednesday, and St. Katherine’s Review.